With the increased use of mobile devices such as tablets and smartphones, many businesses have found it necessary to create a mobile version of their websites. If properly designed, such a site can allow you to reach more customers, thus increasing the sales of your business. Here are some tips which will help you build an effective mobile site. 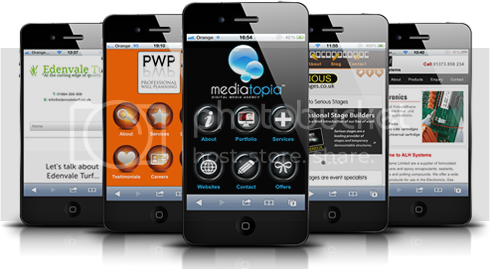 The first thing you need to consider before building your mobile website is its purpose. Different sites have different purposes. For instance, if you want to start an ecommerce site, your design will be different from a site which only shares information. Similarly, a photography site would require a different design from a gaming site. You should also consider the needs of your target audience when designing your site. The color selection for a mobile site is very important. Make sure your colors draw attention to your content instead of distracting users. For instance, if your text has a dark color, make sure your background is light. On the other hand, a dark background will work well with a light font color. Avoid using shades of color which will cause users to strain their eyes when looking at your pages. When people visit your site, they would want to get around as fast as possible and find what they are looking for easily. It is therefore important to have a navigation system which is simple and user-friendly. Within a few clicks, visitors should be able to reach any part of your site. Make sure your navigation buttons are clearly labeled so that visitors can know exactly where they will end up after clicking on them. In addition, you need to highlight your links to make them stand out from the rest of the text. If your navigation is straightforward, visitors are likely to spend more time on your site and make return visits. However, a complex navigation system will only frustrate and push away visitors. If you post interesting and insightful content on your site, your visitors might want to share it with their friends. Therefore, social media is something you cannot afford to ignore in your mobile website design. Be sure to add social media widgets in your site which visitors can use to pin, retweet, like, share or Google +1 your content. The more your content is shared, the more exposure your business gets. Consequently, the traffic to your site is likely to increase, as well as your search engine rankings.